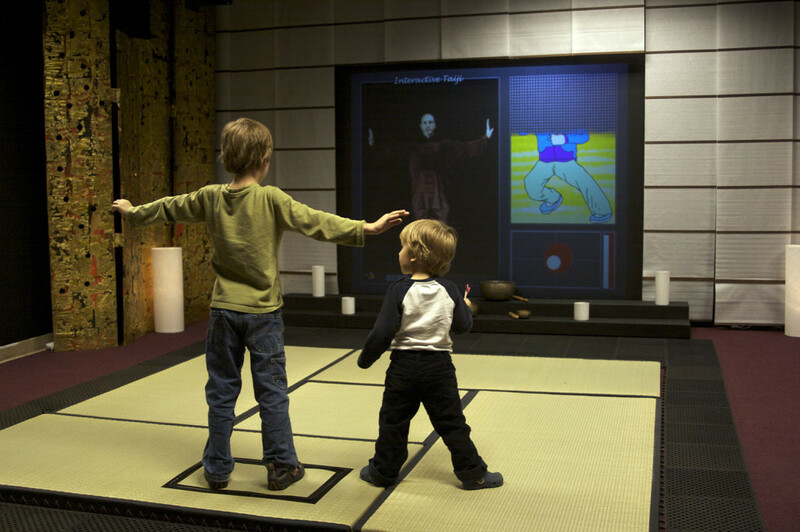 In 2008 I received seed funding for the Interactive Taiji (later renamed into Mind-Body Interactive) pilot project exploring the use of bio- and audio-visual feedback to promote compliance in mind-body practice. 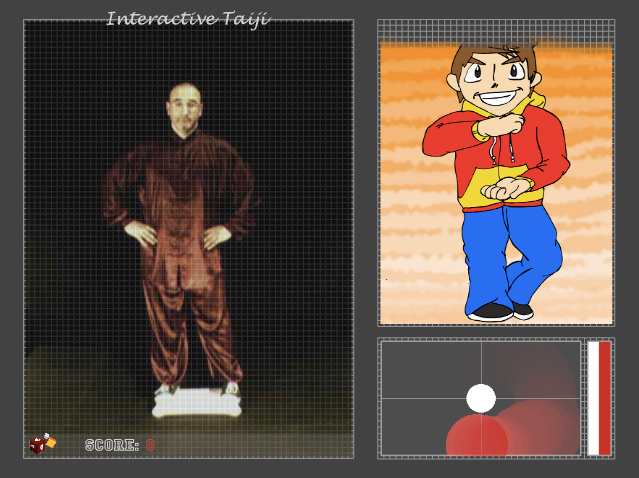 In its first iteration our target population was 3rd grade students where technology’s goal was to use Taiji (Tai Chi) to promote focus and the overall sense of physical and mental well-being. For this purpose I initially used a set of pressure sensors that were later replaced with a reverse-engineered Nintendo Wii Fit board. The entire system was devised in MaxMSP offering real-time production of new lessons. For this reason, I developed and maintained disis.aka.wiiremote MaxMSP external, a variant of the aka.wiiremote, until Apple’s bluetooth stack started inexplicably breaking (sometime around the 10.5.2 release). Below is a video showcasing an early prototype of the Wii Fit external in conjunction with a hacked version of Neverball. User’s performance was compared with that of the instructor (as recorded as part of the lesson). Apart from the visual feedback, the system also offered procedural soundtrack that introduced new layers as the user performance improved, thus rewarding user’s compliance. The Craig County, Virginia pilot with 3rd graders conducted as part of their Physical Education proved compelling–students by and large preferred version with sonified sountrack over that with only verbal instructions. It was particularly profound observing 3rd graders hold static Taiji poses for up to 2.5 minutes in length, something that even for an adult with ample patience could prove trying, with absolute interest. Participating children provided useful feedback on how to improve the design, including one rather amusing response to the question: how could you make the game better? “Make it more violent,” said one of the students. Since, the project underwent a number of variants, including what is likely the first online course focusing on physical education. This version shed the Wii Fit board in favor of a camera, and allowed users to send their sessions in a conveniently small file size to a professional for a remote review and feedback using a companion tool. The latest version of the system incorporated a pre- and post-session assessment and data collection and was piloted in 2012 as part of an online course through Virginia Tech. Due to a patent disclosure and a series of entrepreneurial opportunities the research is yet to yield official publications.